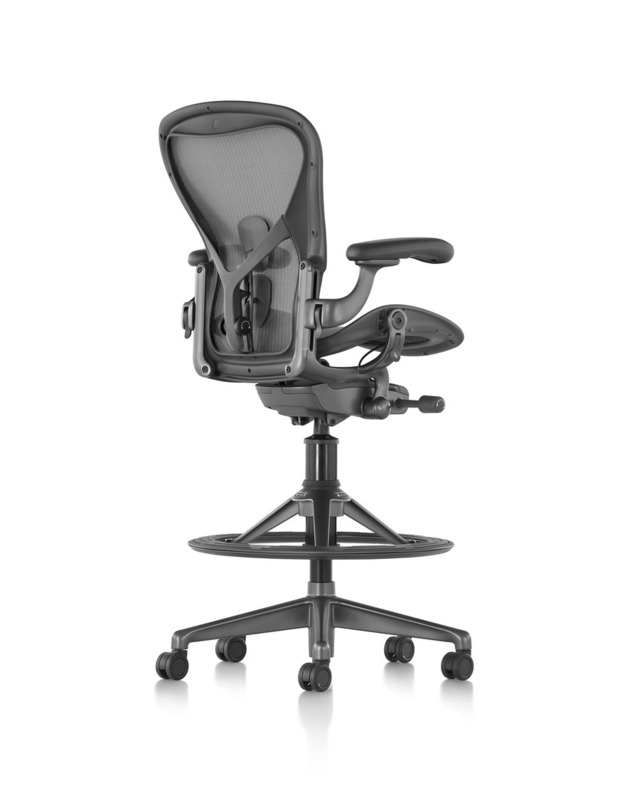 The new Aeron Stool takes our iconic chair to greater heights, pairing with higher work surfaces, tables, and countertops. 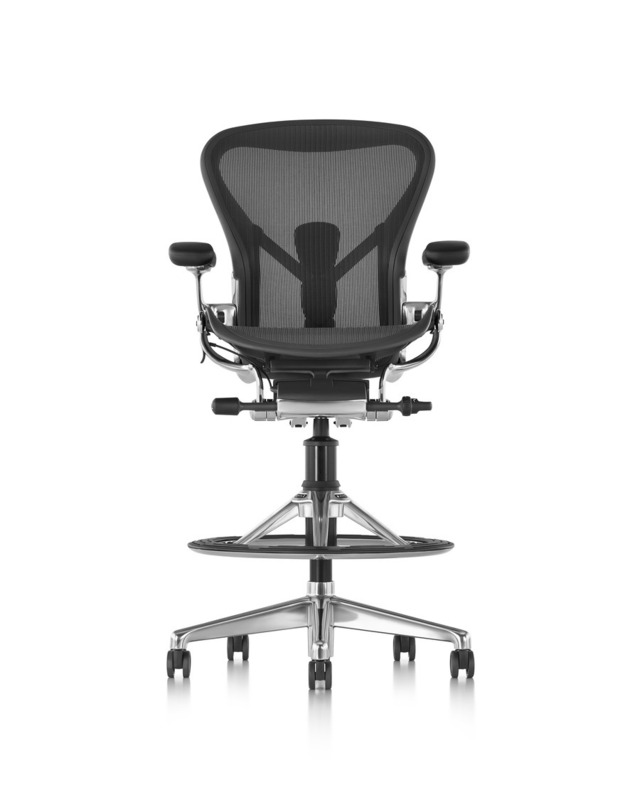 While the stool’s iconic form has remained largely unchanged, it’s been remastered to meet the needs of today’s work. 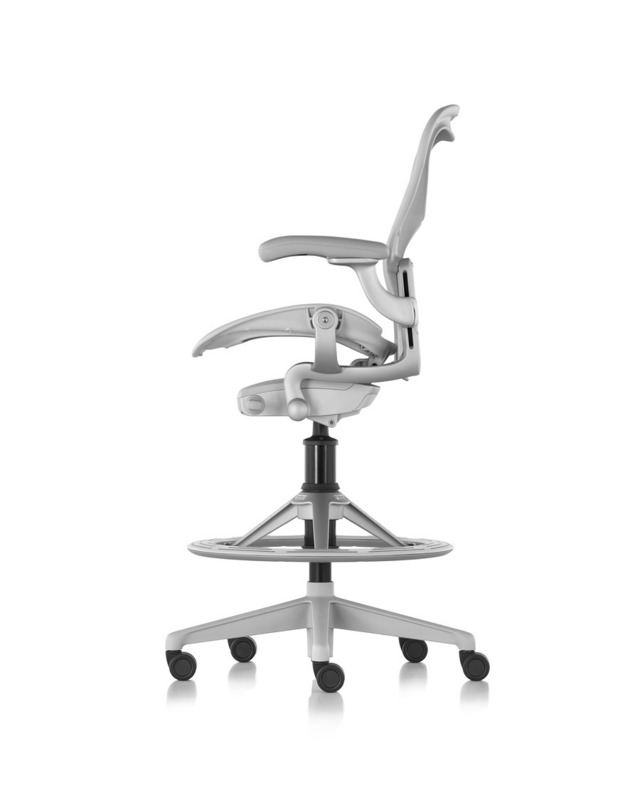 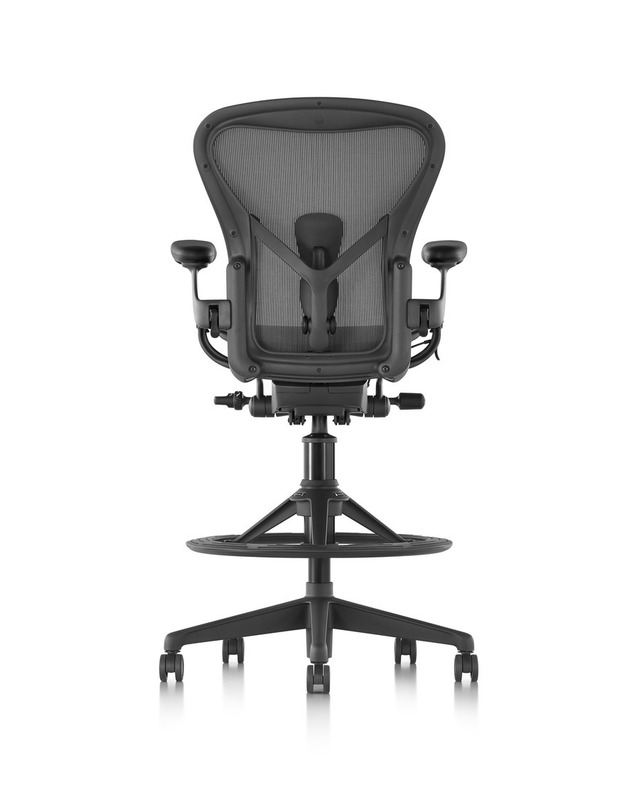 The stool features an enhanced footrest and offers the same ergonomic excellence as the new Aeron Chair, including adjustable PostureFit SL and the comprehensive support of 8Z Pellicle suspension material.